Those are two really, really big fish! If those whales come here, we have plenty of water in our yard floating around after all the torrential rains we have had. We may need to commission a boat pretty soon. I think someone forgot to tell those whales where the ocean was. whoa, nigel!! those are some hooge whale tails you found! where are you?? Great shot. Two whales in one go! Nigel, old buddy, with your pull I bet you could get those wascally whales a nice GPS system…. Well, I think I’ve seen it all now! A whale of a tale………… or is it tail of a whale?????????? 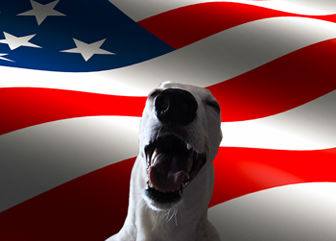 Greyt photo. Thx fur fetchin’ my dinner, Nigel! Sorta reminds my mom of Wyland!!!! Oh My Nigel….Mama always wondered where the whale and flowerpot from Hitchhiker’s Guide to the Universe landed…Now we know! Thanks for the head’s up…or is that tales up|?? At least those are safe from BP. eep. Now THAT is one COOL photo!! Nigel looks small – Now THAT’s a first!!!! Great photo. Nigel, do you have a whale of a tale to tell us? Great picture! I’m starting to get more and more curious about this new back yard of yours! Oh my word…..looks like Flipper GPS needs repairing. Please Save the Whales Nigel!! Only you can do it!! 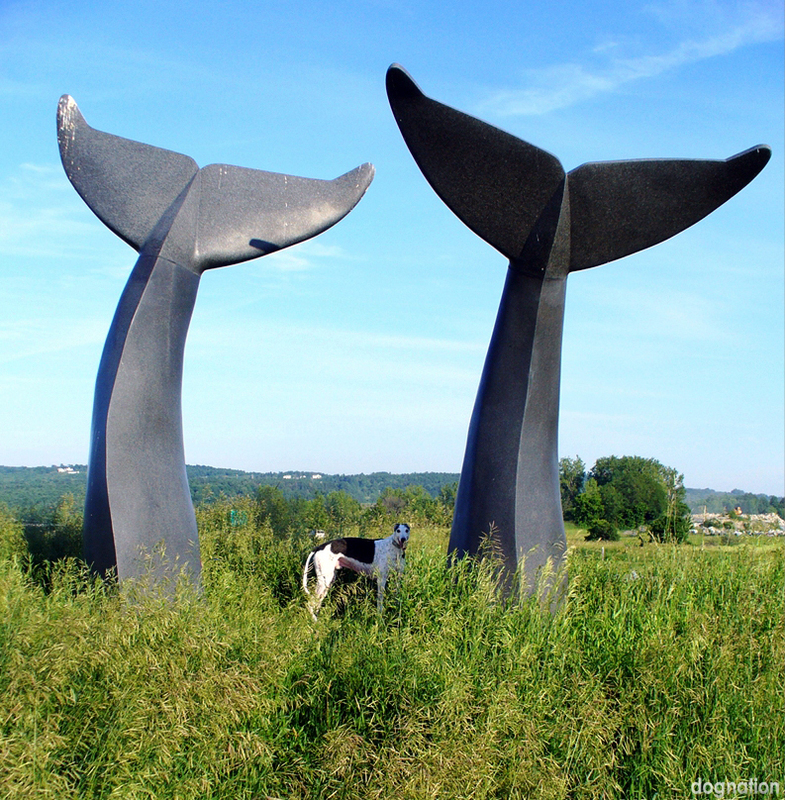 Another (Humpback) Whale of a Wordless Wednesday Winner!!! Cute shot of your dog and the neat sculptures! Are you having fun with the whales? Somebody call the Greenpeace!… oh, it’s you Nigel. Woo have it all in Vermont!!! we forgot to update my bloglines and didn’t get any new posts since you guys moved. a lot of catching up to do! buggers–is there anywhere you haven’t been? ?